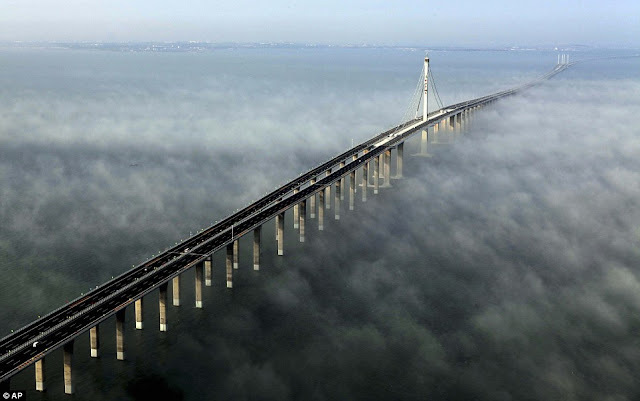 At 26.4 miles long, it is five miles further than the distance between Dover and Calais. China has opened the world's longest cross-sea bridge - which stretches five miles further than the distance between Dover and Calais. 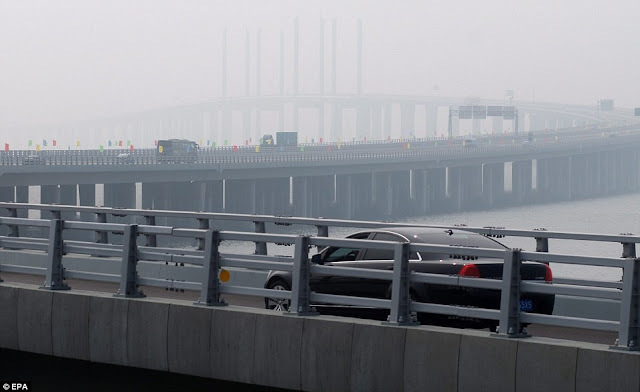 The Jiaozhou Bay bridge is 26.4 miles long and links China's eastern port city of Qingdao to the offshore island Huangdao.The road bridge, which is 110ft wide and is the longest of its kind, cost nearly £1billion to build. 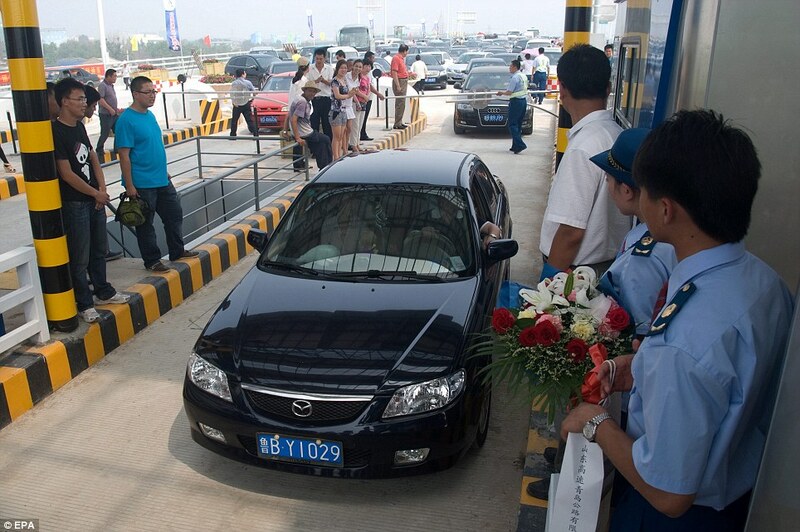 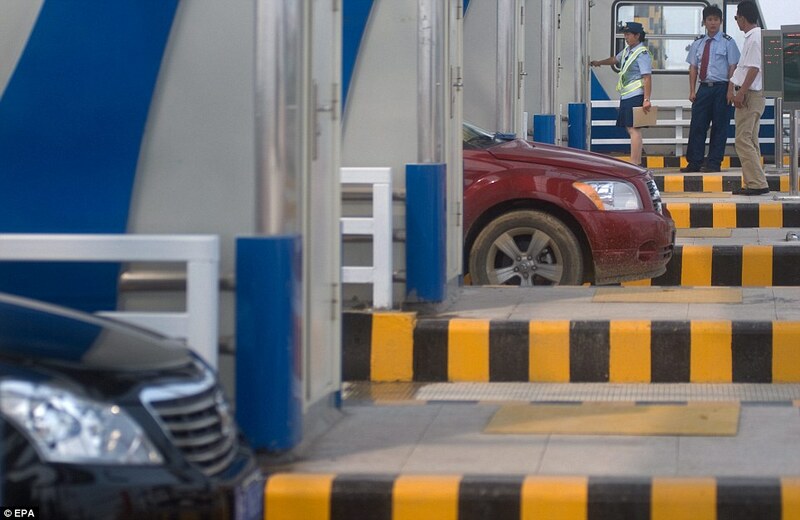 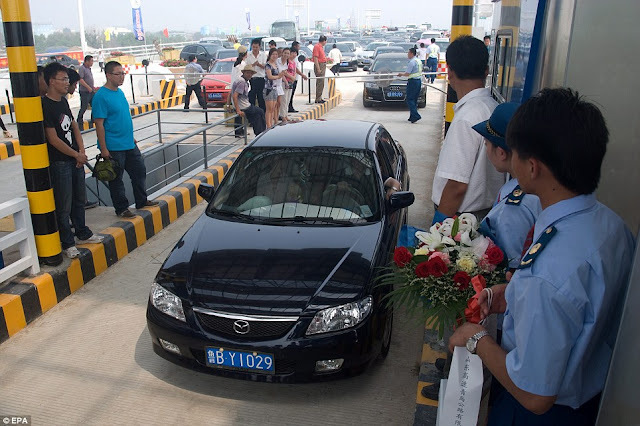 Chinese TV reports said the bridge passed construction appraisals on Monday and it, along with an undersea tunnel, would be opened for traffic today. 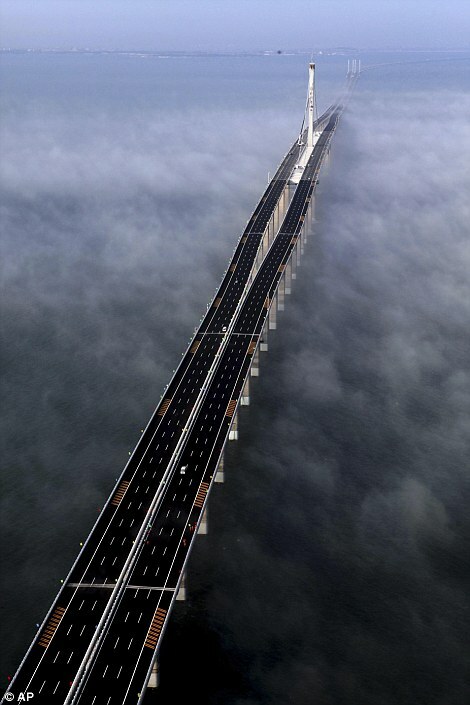 It took four years to build the bridge, which is supported by more than 5,000 pillars across the bay, and it is almost three miles longer than the previous record-holder - the Lake Pontchartrain Causeway in Louisiana. 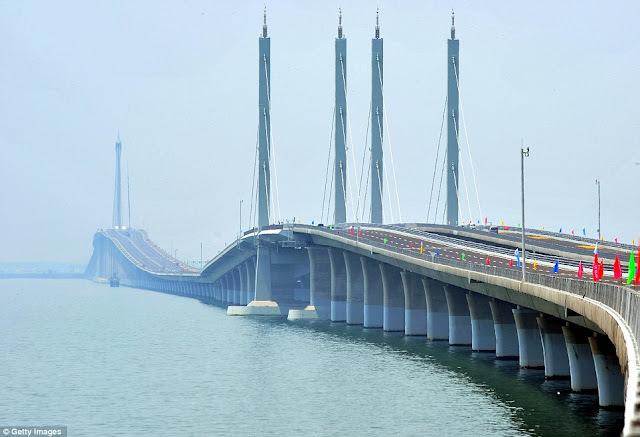 That structure features two bridges running side by side and is 23.87 miles long. 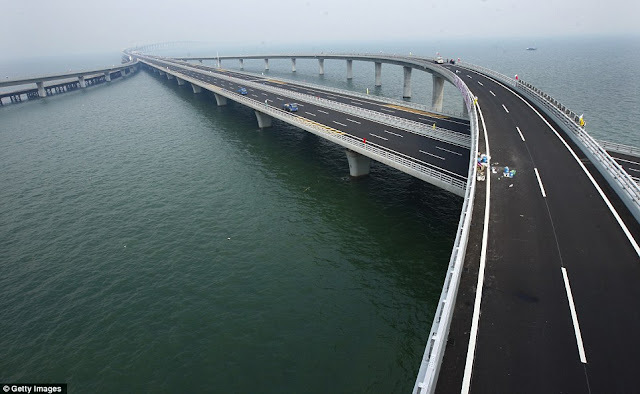 The three-way Qingdao Haiwan bridge is 174 times longer than London's Tower Bridge, spanning the River Thames, but cuts only 19 miles off the drive from Qingdao to Huangdao. 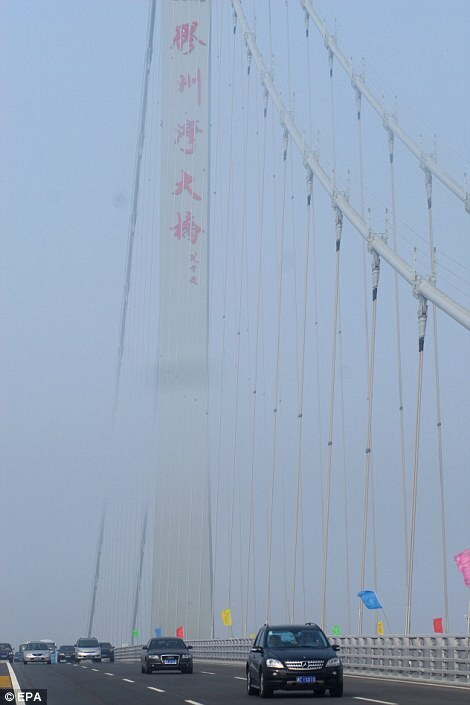 Two separate groups of workers have been building it from different ends of the structure since 2006. After linking the two ends of the bridge on December 22, one engineer said: 'The computer models and calculations are all very well but you can't relax until the two sides are bolted together. 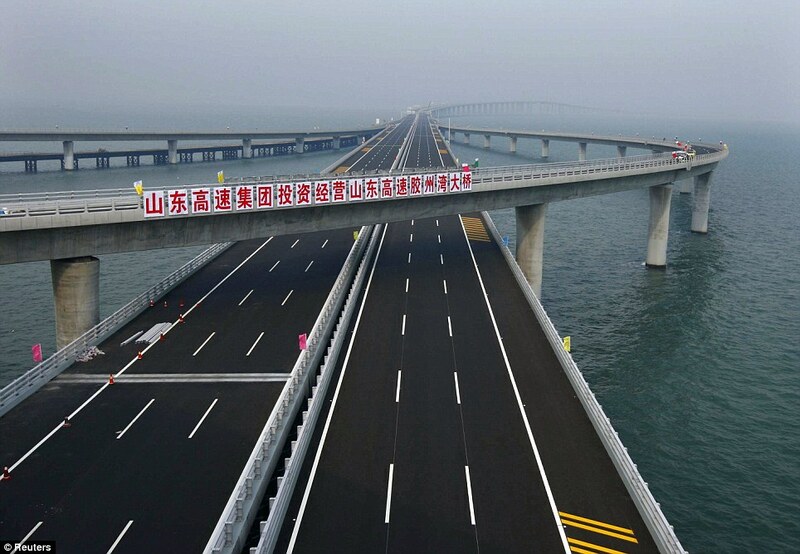 The engineering feat will only hold the record as the longest sea bridge for a few years - it will be beaten by another Chinese bridge in the next decade. Last December officials announced workers had begun constructing a bridge to link southern Guangdong province with Hong Kong and Macau. Set to be completed in 2016, officials said the £6.5billion bridge will span nearly 30 miles. 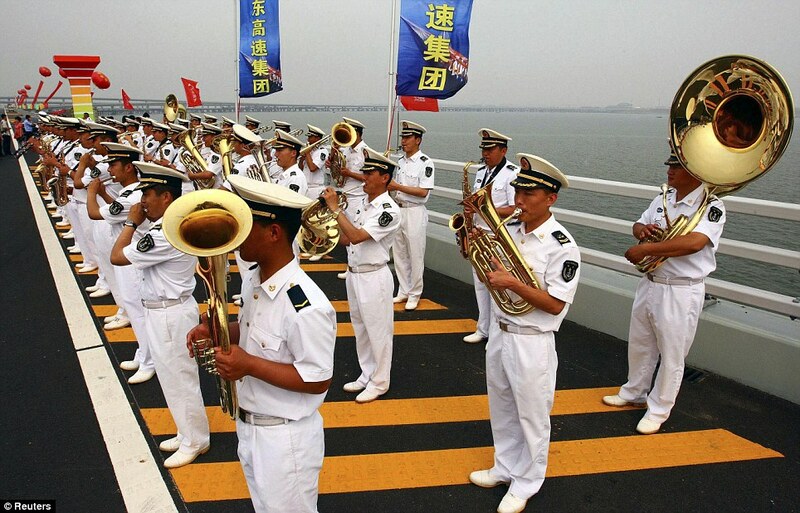 It will be designed to cope with earthquakes up to magnitude 8.0, strong typhoons and the impact of a 300,000 tonne vessel. 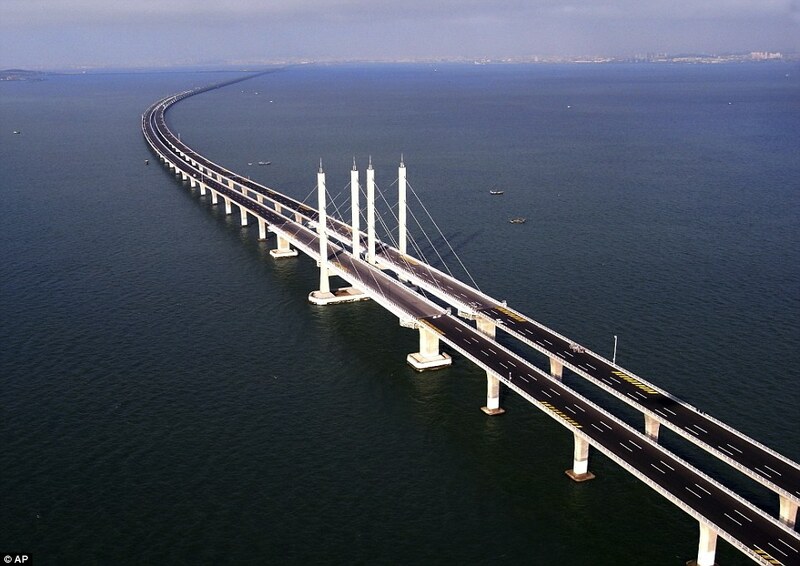 But both structures will still be dwarfed by the longest bridge in the world, also in China. 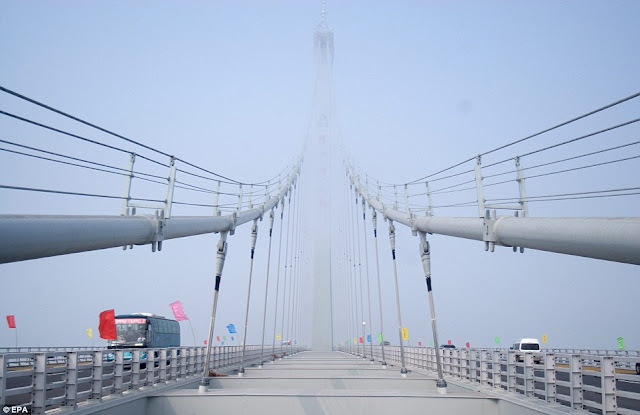 The Danyang-Kunshan Grand Bridge is an astonishing 102 miles in length.